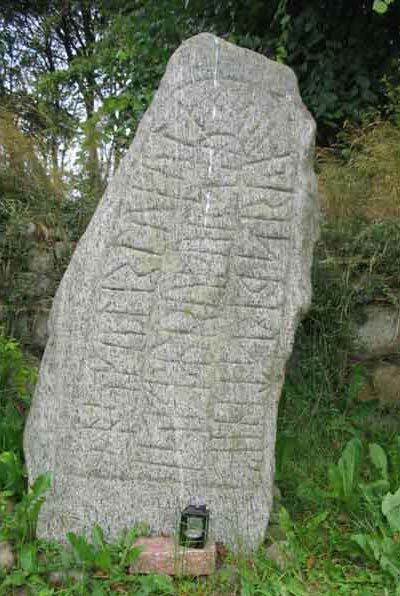 Ásgautr <tuguta>'s son raised the stone in memory of Ásgeirr, his brother. Ravnkilde is situated southwest of Ålborg on Jutland, Denmark. I got this photo from Arild Hauge. Thanks !